No fewer than 881 children were either killed or maimed by the Boko Haram terror group and Nigerian security forces in 2017, the United Nations, UN has said. 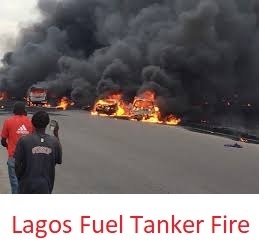 Tragedy struck on Thursday at the Otedola Bridge, Lagos end of the Lagos-Ibadan Expressway, after a petrol-laden tanker crashed and exploded. Global human rights group Amnesty International has accused the Nigerian Government of encouraging the impunity fueling the increasing insecurity in the country by failing to hold murderers to account. 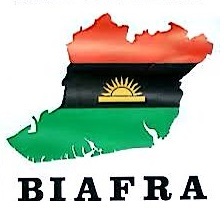 Scores of people have been killed, with no fewer than 7,000 Igbeagu Izzi indigenes of Izzi Local Government Area of Ebonyi State displaced following the inter-communal crisis between Izzi people and their counterparts in Ukele, Cross River State. The European Union yesterday identified act of terrorism, particularly in Nigeria, as one of the major threats to peace and security in West Africa. This is coming as troops of 301 Artillery Regiment (General Support), Nigerian Army, yesterday arrested two suspected Boko Haram’s fuel suppliers in Nafada, Gombe State. Nigeria’s President Muhammadu Buhari faced calls Wednesday to improve security or resign, after more than 200 people were killed in the latest bloodletting between herders and farming communities. 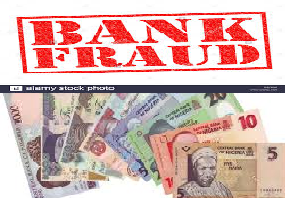 The Nigerian Inter-Bank Settlement System, on Thursday said the banking industry lost the sum of N12.30 billion to various frauds between 2014 and 2017. 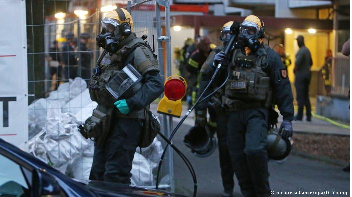 German Federal prosecutors on Thursday charged a 29-year-old Tunisian citizen with producing a biological weapon after police found highly toxic ricin in his apartment in the western city of Cologne, Germany. 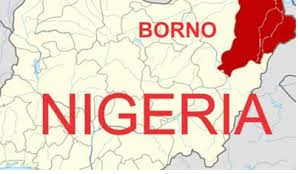 The Borno State police command, Tuesday, confirmed the foiling of attack by heavily armed Boko Haram terrorists in Gajiram town, headquarters of Nganzai LGA. With the FIFA 2018 World Cup currently underway in Russia, cybersecurity specialist Fortinet has cautioned ardent football fans to stay vigilant against cyberattacks via online viewing websites and social media platforms. 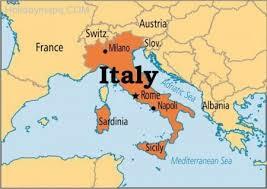 The Italian Ambassador to Nigeria, Stefanou Pontesilli, says no fewer than 1500 Nigerians are serving jail terms for various offences in Italy. The Federal Government is to shut down the land border between Nigeria and a neigbouring country in a few days time to avoid smuggling of foreign rice into the country. 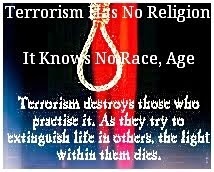 Islamic State, ISIS leaders are sneaking battle-hardened jihadis from Syria into Nigeria to train terrorists for possible attacks in Britain. 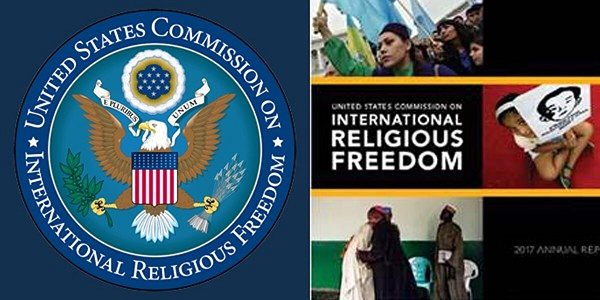 Against the backdrop of incessant killings in Nigeria, particularly the predominantly Muslim herdsmen slaying Christian farmers, the United States Commission on International Religious Freedom (USCIRF) has recommended to the US government that Nigeria should be designated as a “Country of Particular Concern”, CPC. 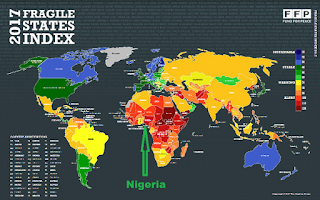 It is a long march from poverty to prosperity, but according to Olu Fasan’s assessment, Nigeria has not quite made the transition yet. 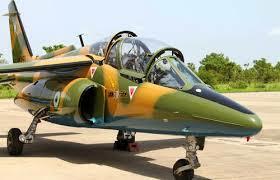 Nigerian Air Force fighter jets conducted air strikes on at least three Benue State communities on Saturday, in an operation which lasted several hours. 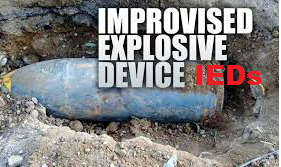 The Nigerian Army has expressed alarm over what it described as emerging but dangerous trend of the use of Improvised Explosive Devices, IEDs, as weapon in the South Eastern part of the country. These are obviously not the best of times for Benue state and her citizens considering the series of killings taking place in the state in the last five months. No fewer than 35 primary schools have been shutdown in Obi Local Government Area of Nasarawa State due to attacks on Tiv communities in the Southern Senatorial District of the state, resulting in the destruction of the schools. 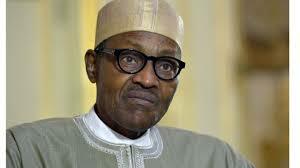 The U.S. government has announced a fresh $102 million in humanitarian assistance to Nigeria. The U.S. Ambassador to Nigeria, Stuart Symington, announced the new aide at ongoing National Conversation on the Humanitarian-Development-Peace Nexus, on Thursday. 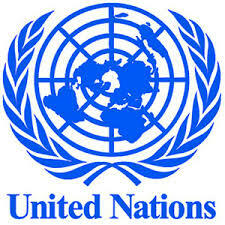 South Africa has appealed to Nigeria and other countries within and outside Africa to support its bid for the non-permanent seat in the United Nations Security Council for the term 2019-2020. 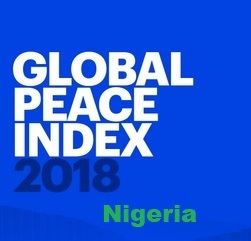 Nigeria has been ranked the 16th least peaceful country in the world, according to the 2018 edition of Global Peace Index, GPI. The Police in Niger State, North-Central Nigeria, said on Monday it had taken measures to ensure the arrest of the 200 prisoners that escaped from Minna Medium Security Prison on Sunday. A spate of kidnappings for ransom in the Birnin Gwari district of northern Nigeria’s Kaduna state has left residents afraid to even leave their homes. Relatives cry as they mourn during a funeral service for 17 worshippers and two priests, who were allegedly killed by Fulani herdsmen, at Ayati-Ikpayongo in Gwer East district of Benue State, north-central Nigeria on May 22, 2018. Two Nigerian priests and 17 worshippers have been buried, nearly a month after an attack on their church, as Catholics took to the streets calling for an end to a spiral of violence. 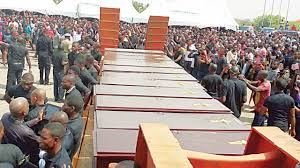 White coffins containing the bodies of the clergymen and the members of their congregation were laid to rest in central Benue state, which has been hit by a wave of deadly unrest. “When a person travels, his family, friends and neighbours gather to pray for his safety because of the kidnappers,” said local resident Kabiru Mohammed. “It’s celebrations once he returns because kidnapping on the highway has become the norm. 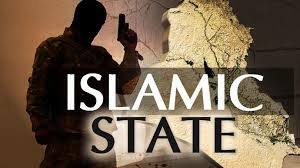 It’s a nightmare that should only exist in fairytales,” he told AFP by telephone. Mohammed and his neighbours have good reason to be anxious. Kidnappings have reached unprecedented levels in the last two months. 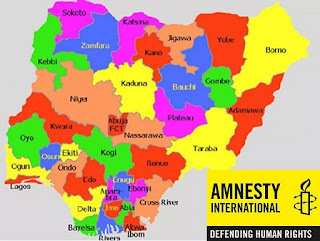 In early May, about 100 people were abducted in just two days on a road near the border with Zamfara state. Haruna Musa, who also lives in Birnin Gwari, said the situation has forced people in at least six villages in the area to abandon their homes. Last week, an armed gang raided the village of Maganda and kidnapped three wives of a businessman. Many locals now don’t sleep at night. Instead, they patrol their communities. “I also join in the night patrols to encourage others,” said Mustapha Idris, the chief imam of Maganda. But the creation of civilian militia has itself had deadly consequences. On May 6, at least 71 people were killed in Gwaska village during clashes with armed bandits. – Grisly warnings – Birnin Gwari is not alone in being affected. In Zamfara, there have been similar problems from kidnapping and cattle rustling gangs. “The mere sound of a motorcycle engine outside your house at night robs you of sleep because it could be a sign that the dreaded bandits have come,” said Nuhu Dansadau. Dansadau said his village, also called Dansadau, and others nearby have been repeatedly raided. 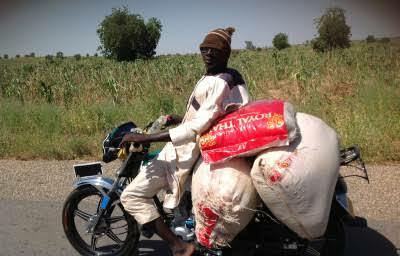 The kidnapping gangs and cattle thieves, who roam on motorcycles on the hunt for victims, are known to operate in northern Kaduna and Zamfara. 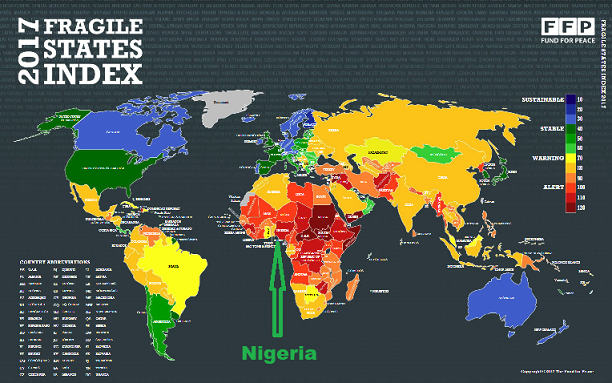 Both regions have been largely spared by the Boko Haram insurgency, another of Nigeria’s pressing security problems along with a land conflict between nomads and farmers. The kidnappers’ heavily guarded camps dot the Rugu forest, which straddles Kaduna, Zamfara and the northern states of Kano, Sokoto, Kebbi and Niger. Abductees whose families don’t pay ransoms are killed and their bodies dumped, according to security sources. 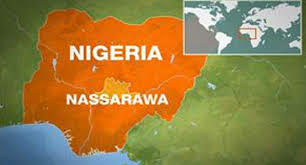 Kidnapping for ransom used to be a phenomenon isolated to oil-rich southern Nigeria. 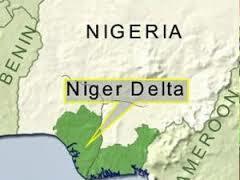 But it has spread further north and become lucrative because of economic hardship. It has also attracted young ethnic Fulani herders who have lost their herds in unrest with farmers over grazing and watering rights. 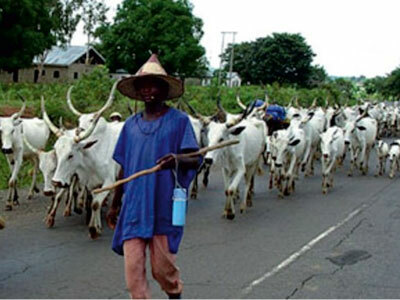 Young Fulani herders now make up most of the marauding gangs in northern Nigeria and other West African countries, said Saleh Bayeri, of the Gan Allah Fulani Development Association. The Kaduna state government formed a joint military and police taskforce to combat kidnapping and cattle rustling in Birnin Gwari but has had little success. In March, bandits likely armed with illegal weapons smuggled in from Mali and Libya, killed 11 troops at a camp in the area, prompting the military to withdraw. In April, the Nigerian Air Force deployed special forces to Zamfara to fight the gangs but locals said more were needed. “The bandits by far outnumber the troops and are better armed,” said Kawaye. Zamfara governor Abdulaziz Yari has said he does not have adequate resources to police a state which at 40,000 square kilometres (15,400 square miles) is about the same size as Switzerland. There are only 2,000 regular police officers, 400 riot police, 315 soldiers and fewer than 100 air force personnel for a population of more than four million, he said in February. In response to the killings, he has ordered troops to shoot on sight anyone seen with a gun in affected areas. But that and a number of amnesty offers have had little effect. “The best way to end this menace is for the government to send in more troops and weapons to fight these criminals as well as intensify security along our borders,” said Dansadau. Herdsmen, in the early hours of yesterday, invaded Tseadough village in Mbachom, Yaav Ward of Kwande Local Government Area of Benue State, killing seven persons including women and children, while a pregnant woman was taken hostage. 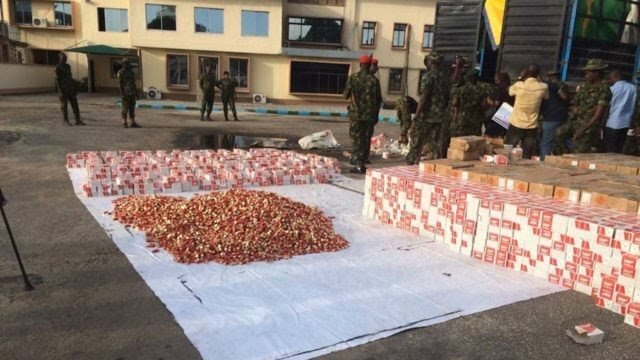 Nigerian Security agencies yesterday morning intercepted 300,000 cartridges that were smuggled into Nigeria through the Benin Republic border. The cartridges were concealed in a false base of three heavy-duty trucks and had successfully gone past borders until they were intercepted at Igbogila-Ilara area of Ogun State. Although the drivers and crew members fled, upon closer inspection, the trucks were deemed empty until the security operatives unearthed the large cache of ammunition. 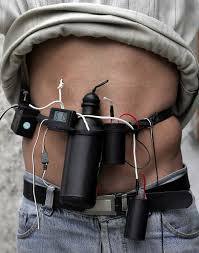 When they opened the metal cover, hundreds of cartons of cartridges of the 12-calibre were found concealed underneath. 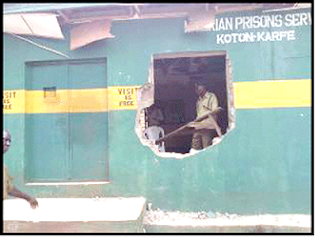 Revelations have, however, emerged on how the unknown smugglers, allegedly aided by some policemen, tried to deceive security operatives to smuggle the three truckloads of arms and ammunition into the country, through the Ogun State land border.The smugglers had declared the trucks as empty with the aim of deceiving officials of the Nigerian Customs Service at Owode-Ilaro Road in Ogun, but the officers suspected foul play and played smart on the smugglers’ team, which include some policemen in uniform. The trucks were intercepted in Balogun village, near Egua in Yewa North Local Government Area of Ogun, by military officers attached to the 35 Artillery Brigade of 81 Division, Nigerian Army in Alamala, Abeokuta. Ogun State Area Command Public Relations Officer of Customs, Abdullahi Maiwada, who confirmed the incident to The Guardian yesterday, said the soldiers were able to intercept the trucks. He explained: “There were three trucks that passed through our approved checkpoint escorted by policemen. We saw that those trucks were not empty, so we enquired from the police officers and they said that the vehicles were suspected stolen vehicles and that they are conveying them to one of their units for further investigation. 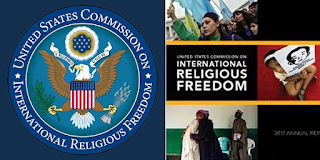 “We decided to allow them thinking that they were doing their constitutional duties. Then, we were not satisfied and our men decided to follow the vehicles until they got to an army checkpoint and the officers intercepted them. The army have their own intelligence, so they were able to open the trucks and discovered that the arms and ammunition were carefully concealed. “I cannot ascertain the quantity, but what I can tell you is that those items were incriminating. 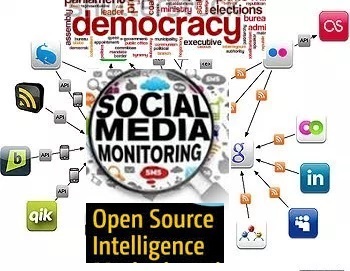 It was intercepted and opened in the presence of customs and other law enforcement agencies. They took all the trucks to one of their formations in Lagos,” he said.When contacted, the Police Public Relations Officer, Ogun State, Abimbola Oyeyemi, said: “I don’t think there is anything concerning police in the matter.” He directed The Guardian to find out from the Nigerian Army. While briefing the press on the discovery, the General Officer Commanding (GOC), 81 Division, Major General Enobong Udoh, said the arrest was based on a tip-off received from well-meaning Nigerians during the anti-illegal bunkering, anti-pipeline vandalism and anti-smuggling patrols. The GOC, who was represented by the 35 Artillery Brigade Commander, Brigadier General Olaniyi Olatunde, said the trucks were intercepted in conjunction with the police, the Department of State Security (DSS) and Nigerian Security and Civil Defence Corps (NSCDC). The three trucks weighing five-tonnes with vehicle registration numbers: ANAMBRA AAH 409 ZV, LAGOS BDG 782 XU and LAGOS GGF 88 XU, were loaded with thousands of live cartridges.On getting to Balogun village, along Igbogila-Ilara road, Ogun, they were intercepted and live cartridges in boxes and cartons were carefully concealed and sealed in a false-base made up of wooden platform with metallic plates. Five Nigerian soldiers were killed in a Boko Haram ambush in Borno State, North-east Nigeria.